Yesterday I checked out an absolutely pristine 1970 Mercedes-Benz 280SL and it got that way by no accident. 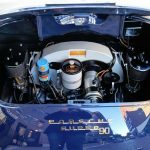 It was a total restoration down to the bare metal, including the engine, then rebuilt over a three-year period. As a result, the car carried a mega price tag of $259,000. Worth it? If you wanted a brand new Pagoda, yes. Personally I think I’d be thrilled with a W113 for half that price, but some people want it all and they pay for it. Today, I wanted to rewind the clock another 10 years back to the 190SL. 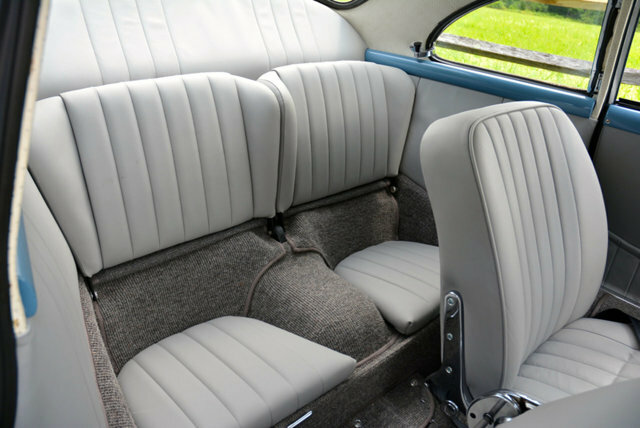 Just like the Pagoda, this 1960 was totally stripped down and rebuilt with everything new and now looks like a brand new car. The price? Even higher than the Pagoda. This is a new one more me. 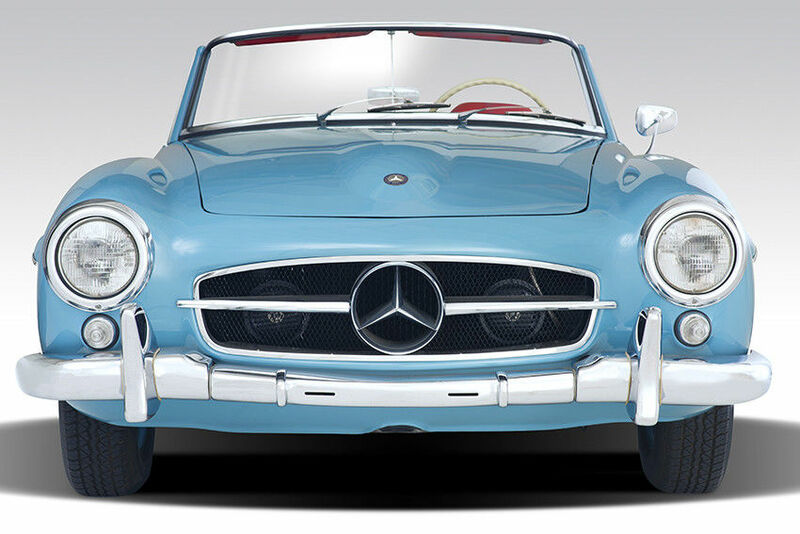 No, not the gorgeous Mercedes-Benz 190SL, but a car that is so perfect that is actually has its own hardback book with glossy pages showing off how beautiful it is. 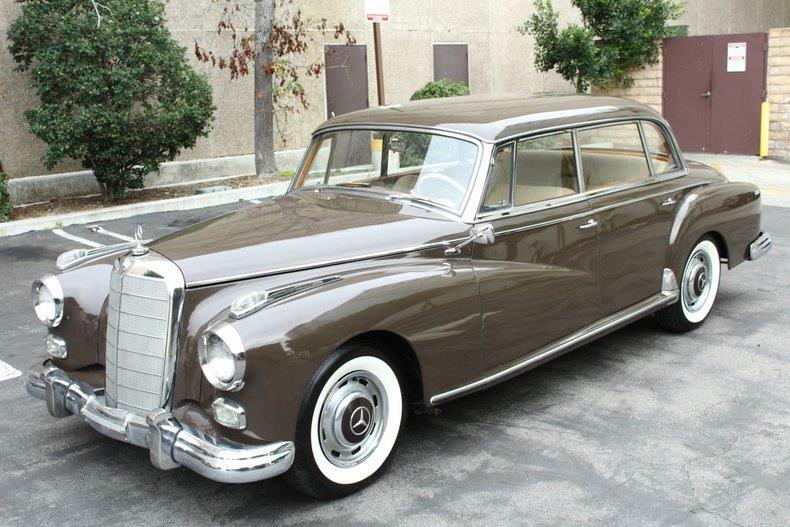 That is the level of perfect we are dealing with today with this 1960 W121. 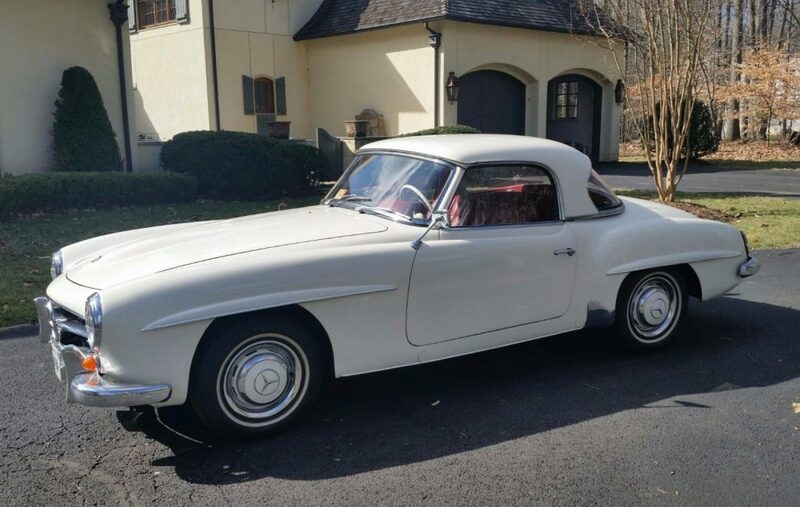 This isn’t an original time capsule or forget gem that has been buried away for 50 years, this 190SL actually has over 65,000 miles on it. Of course, this roadster has had a full nut and bolt rotisserie restoration done to it and by the looks of it, it wasn’t time or money wasted. 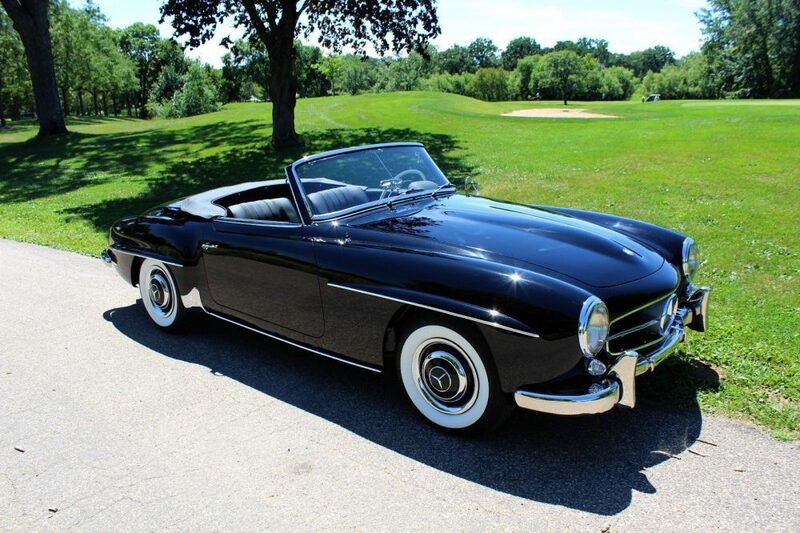 Everything about the 190SL is perfection and of course, the price tag reflects that. So how much for all this perfection? I’m not going to belabor the point with this post. 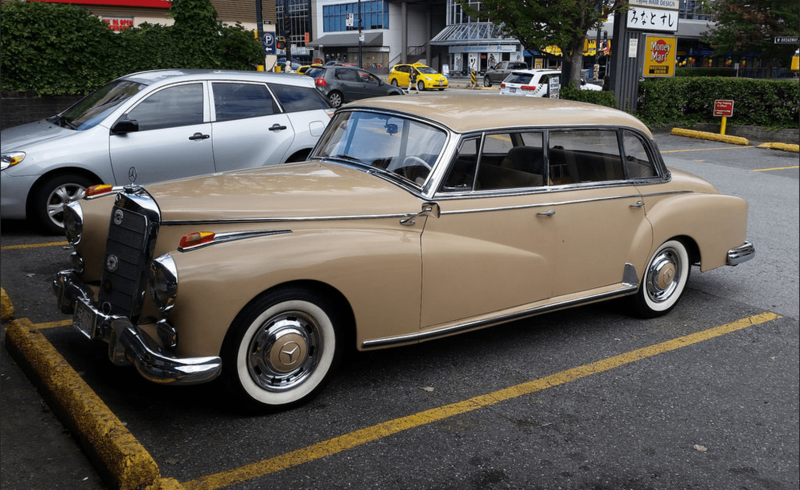 I just think this car is beautiful; I’m very taken by it and it looks like a wonderful example of the breed. 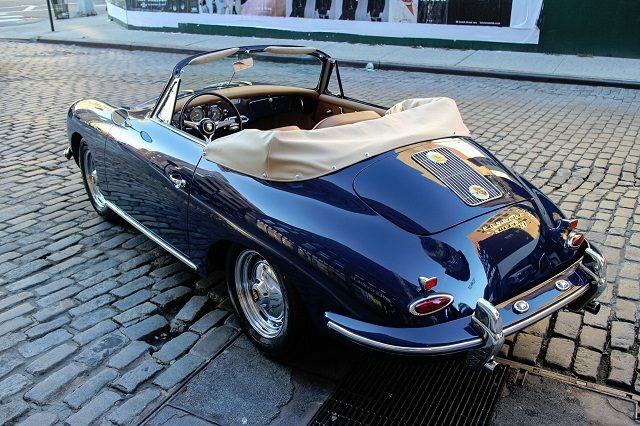 I’ve always found the 356 Cabriolet to be a particularly pretty car and this one fits that bill perfectly. 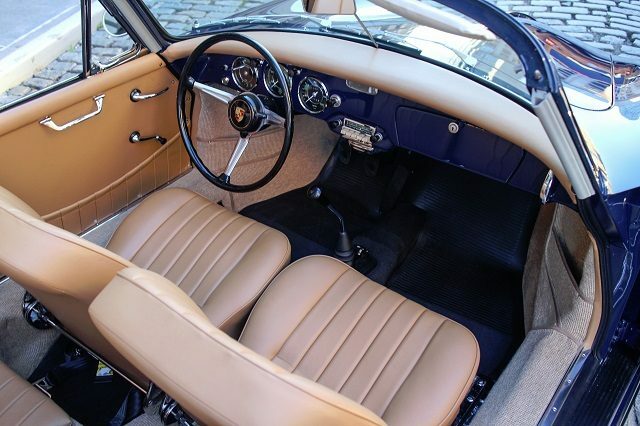 The 356 itself is a simple, yet elegant, piece of machinery and when paired with an open roof possesses all of the vintage charm that I desire. This isn’t really about performance so much as the enjoy of the drive; the melding of aesthetic pleasures to bring about a sense of tranquility. 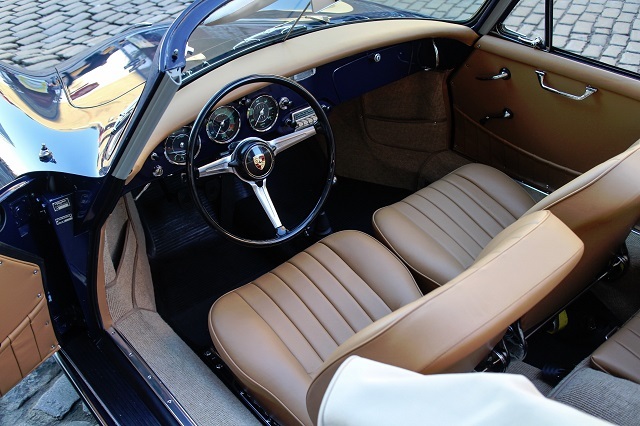 Here we have the fantastic combination of Bali Blue on Tan showcased on a 1960 Porsche 356B Super 90 Cabriolet. 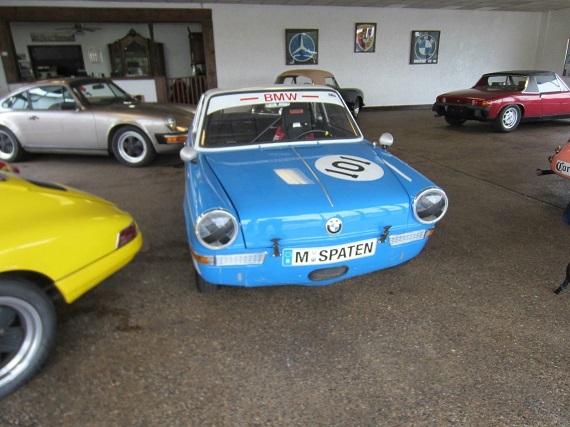 It has been fully restored, is stated to be matching numbers (with supporting CoA), and had 79K miles prior to its restoration, completed in 2014. 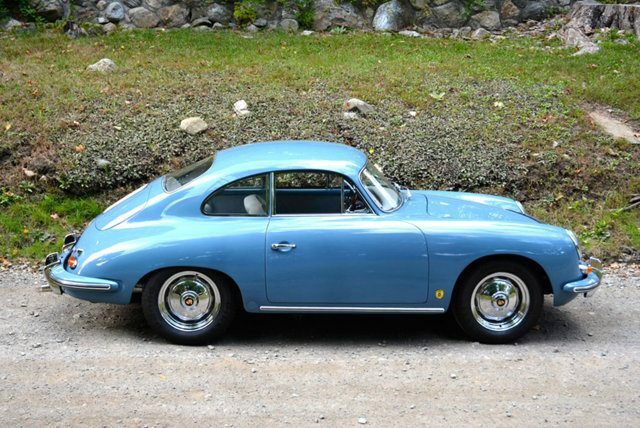 Prices for the 356 always seem to be all over the place. 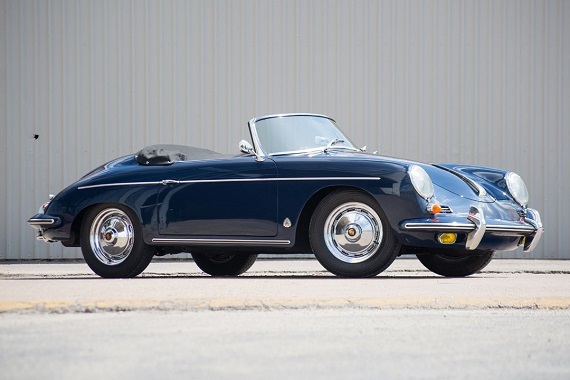 I see fairly standard coupes frequently with prices well below $100K and then there are models like the 356 Roadster I featured a couple weeks back with an asking price of $355K (though we should note it still has not sold). With any model approaching this sort of age those variations can be expected, especially given the relative rarity of some of those models. In general, Cabriolets tend to be more expensive than Coupes and this one follows that line. 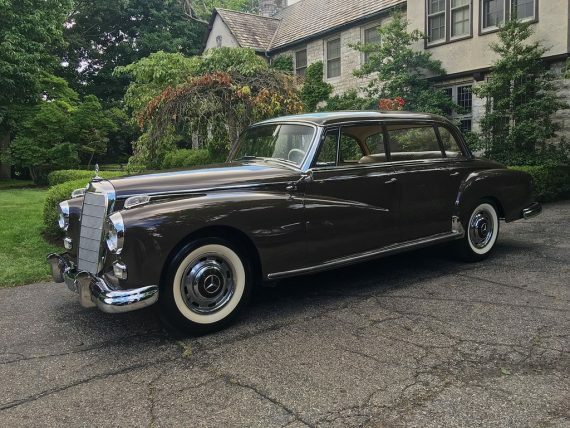 I’m not sure if it will sell for an asking price I assume is above $200K, but well restored examples aren’t easy to come by and this one does look very well done. 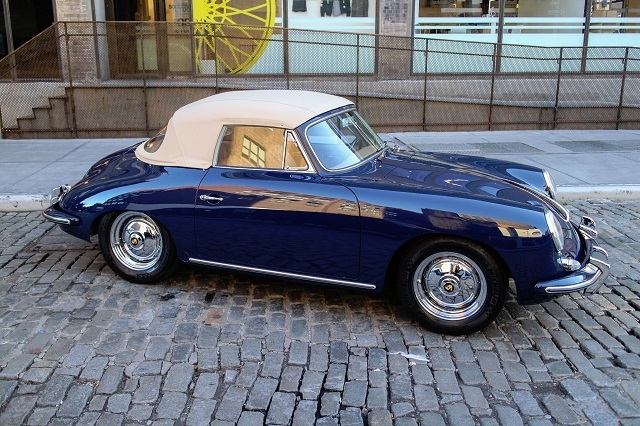 It’s in beautiful condition, in a striking color combination, and even comes with a matching hard top. I don’t imagine it will ever see much time on the road anymore, but on those rare days that it does I’m sure the drive would be spectacular. Sooooo pretty. 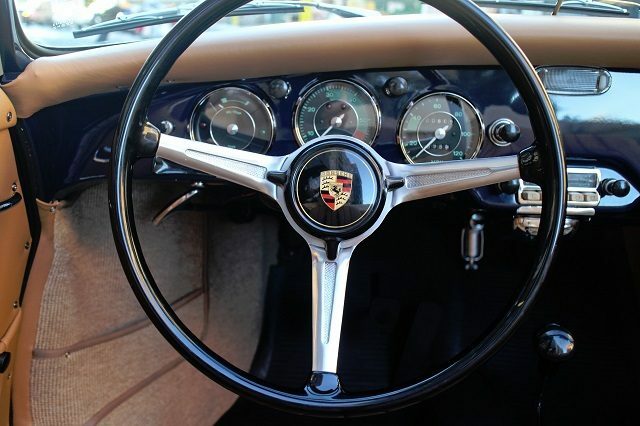 I find myself saying that a lot about the Porsche 356. Its shape combined with a wonderful array of available colors always attracts my notice and coming across one in a color with which I am not familiar isn’t all that rare. 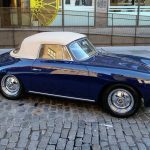 Many of the original colors have appeared under slightly different shades throughout Porsche’s time, so it’s not that we are completely unfamiliar with them, but they are subtly different. Different is nice. 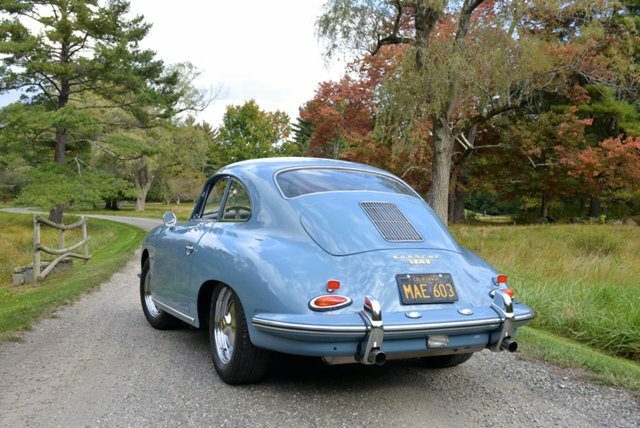 The color we have this time is Aetna Blue, a non-metallic light blue that really looks good on the 356, and here it’s contrasted with a grey interior, black carpets, and a hint of wood. A wonderful vintage automobile. 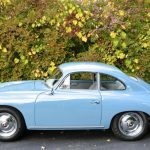 1960 Porsche 356B ( T5 ) Coupe finished in it’s original Aetna Blue with Grey leather interior. Driven 82k miles ( believed to be original ) with only two owners since new. 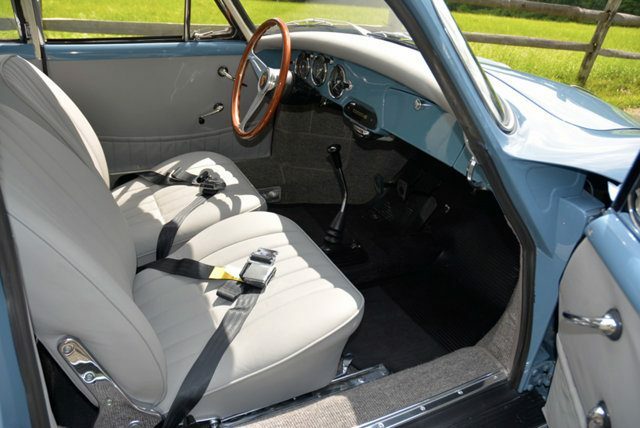 This amazing example has just completed a three year restoration and has been fully sorted. Built on 07/26/1960, this California Black Plate car is totally rust free and still retains it’s original floor pan. 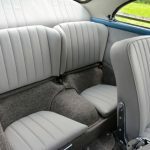 It has been repainted by a well known facility in it’s original Aetna Blue and the interior has just been renewed using top quality square weave carpets, original Coco mats, beautiful supple leather, new headliner, refinished original gauges, new rubber gaskets and trim and refinished chrome trim. EVERYTHING works including the 6 volt cigarette lighter and all interior and exterior lights. The headlamps are European style H4 and European tail lamps have also been fitted. 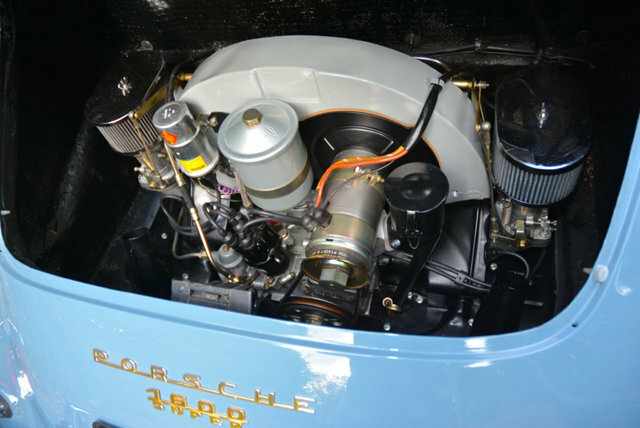 Fitted with a correct 1600 Super engine ( # 702913 type 616/12 ) that has just been rebuilt by Rennwerke Porsche using a 1720cc upgrade with a more powerful cam. The brakes were just completely rebuilt and it was fitted with a new lightened clutch. The list of all that was done during the restoration process is extensive. We’d be glad to provide all details to any serious buyer. The car comes with the original tools and holder, jack, books, sales invoice, service records and registration documents confirming it’s California ownership history. The service books have all the original stamps. 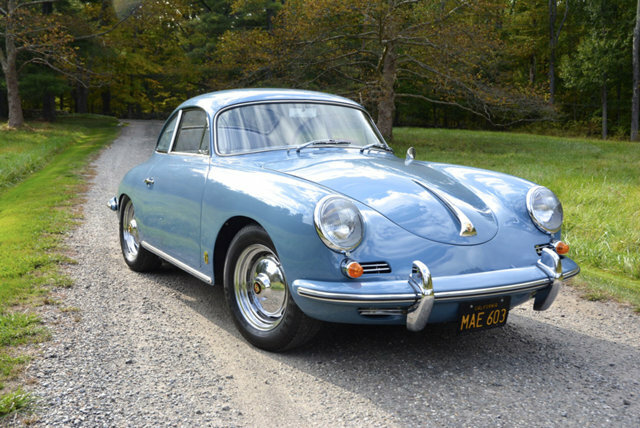 This exceptional 356 is available for immediate delivery. Hunting Ridge has had a nice array of Porsches lately that have all looked very attractive and well sorted. They aren’t always the most inexpensive of dealers, but their cars do look good. I suspect this one will prove no different. It looks fantastic, there’s little question about that. Inside and out everything looks in really nice condition and everything is said to be functional. The engine is a rebuilt unit upgraded to 1720 cc, which should provide a little extra thrust to suit your motoring needs. The mileage, assuming it is correct, is extremely reasonable for a car of this age. It would be worthwhile to look through its history to try and confirm the mileage or, at least, try to understand its usage. There is said to be ample documentation that comes with the car so the hope is that we can piece together the history and fully come to terms with what we’re getting. 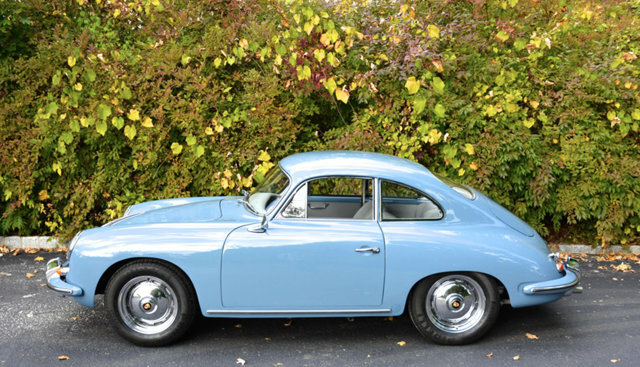 Regardless, this is a really nice 356 that I think should have plenty of appeal among fans of these vintage Porsches. I know I’m enjoying it! Beauty is impossible to quantify and always difficult to rationalize. This car I find particularly beautiful. 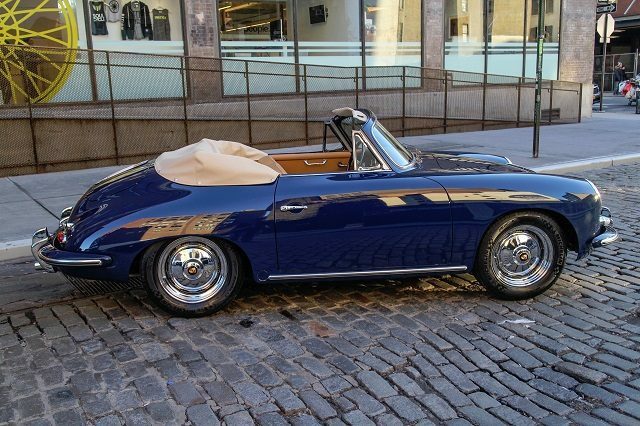 I have long enjoyed the Porsche 356 Roadster and we come across them from time to time, but there is something about this one that really grabs me. 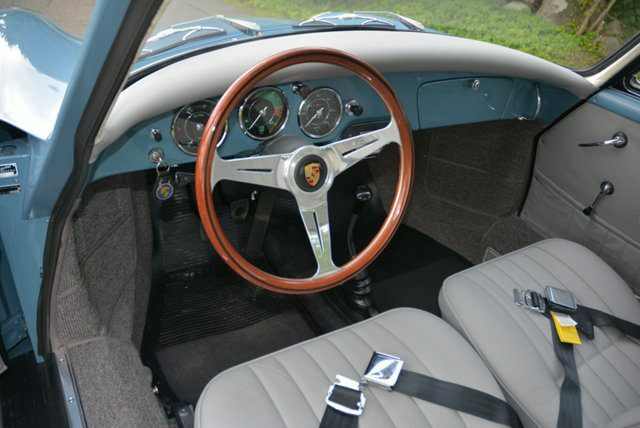 Much of this is down to the contrast of the Bali Blue exterior over the Red leather interior, a combination that I cannot recall coming across (nor was it original to this 356) but which works extremely well. 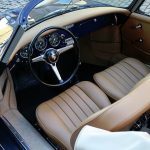 The 356 Roadster was the successor to the highly sought after 356 Speedster, or to be more accurate it was the successor to the Convertible D, which was the successor to the 356 Speedster. It retains in spirit its Speedster roots, but adds a few creature comforts to help suit its purpose as a vehicle capable of everyday use though still somewhat spartan throughout. 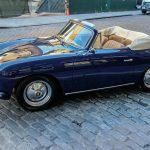 As a vintage open-top cruiser there are few cars whose style I enjoy more than the 356 Roadster and this one is an incredibly striking example of the model. 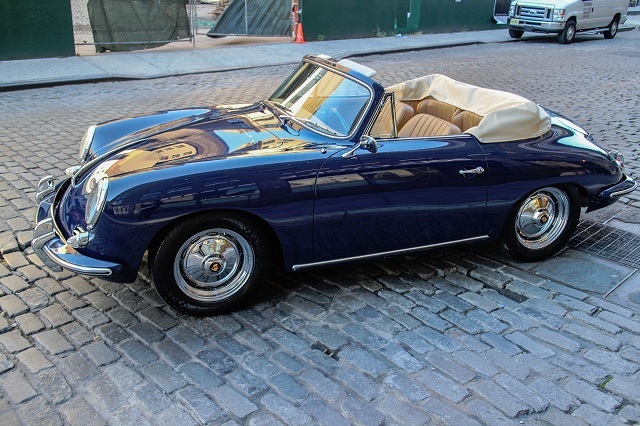 Here we have a Bali Blue 1960 Porsche 356B 1600 Super Roadster with Red leather interior, located in Houston. I think I understand the appeal of nostalgia. It’s the appeal of something we perceive as less complex, freer, or rooted in the familiar. In that regard our own memories are most important and it is the connections between past and present events that creates the joy we derive from such experiences. On the second-hand car market, nostalgia also plays an important role in solidifying and elevating the values of particular models. Nostalgia isn’t the only influential player in those market movements, but it definitely has its role. 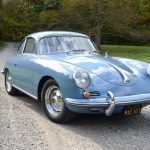 So when I look at the Porsche 356 I think I can understand part of the reason for their success; the reason they have become six-figure cars even when by any modern performance and refinement standard they will fall well short. 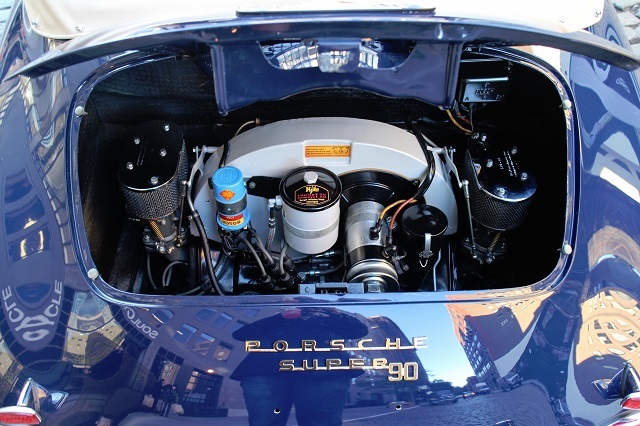 Like many models the 356 has its own fans that in many ways are distinct from 911 fans or fans of Porsche’s various front-engined GTs. 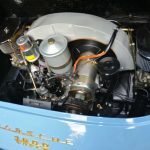 I am very much a 911 fan, yet, even though these cars are quite a bit older than I am, I can easily see the appeal of a relaxed drive in the sun and the wind with very little standing between your inputs as the driver and the responses of the car. With simplicity and lightness comes joy. So I think I understand the appeal of nostalgia. 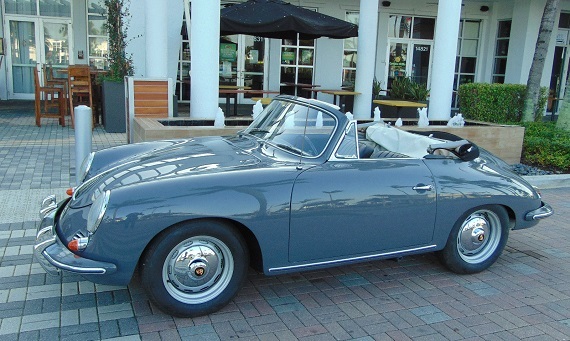 Here we have a restored Slate Gray 1960 Porsche 356B Super 90 Cabriolet, located in Miami, with Black interior.